City Body Repairs is Jaguar and Land Rover North America’s exclusive Authorized Aluminum vehicle Repair Center for San Jose, CA and surrounding area…servicing the collision repair needs of XJ and XK vehicle owners. The Jaguar and Land Rover Authorized Aluminum Repair Network (JAARN) is composed of qualified and fully trained repair centers that have met Jaguar and Land Rover’s rigorous quality repair standards. City Body Repairs employs Certified Aluminum Repair technicians who understand the collision repair needs of your vehicle and use specialized tools and equipment. Your new Jaguar and Land Rover XJ or XK is a world-class luxury vehicle that employs advanced body construction, similar to technology used in the aircraft industry. Its all-aluminum monocoque body shell is built using welded, riveted and adhesive-bonded construction, enabling it to be stronger and lighter than ever before. This advanced technology results in a Jaguar and Land Rover that is not only safer, but is also much faster, with improved handling dynamics and better fuel efficiency. Certified technicians equipped with Jaguar and Land Rover tested and approved tools and equipment. The only source for genuine Jaguar and Land Rover aluminum repair parts, which carry a Jaguar and Land Rover parts limited warranty. Jaguar and Land Rover produce luxury cars at the cutting edge of vehicle technology – the result of new legislation, changing environmental demands and advances in vehicle design, passive safety equipment and crash-worthiness. Specialist knowledge is therefore required to repair them. As a Jaguar and Land Rover Authorized Aluminum Repair Center, City Body Repairs ensures that repairs are completed by Jaguar and Land Rover trained technicians using only the correct methods and materials. As certified body technicians in the Jaguar and Land Rover Authorized Aluminum Repair Network, we must maintain up-to-date product knowledge and factory techniques to ensure all repairs will return your vehicle to its pre-accident condition. To protect the integrity of your vehicle, City Body Repairs uses only Jaguar and Land Rover Genuine Parts on every repair. This will ensure you receive the quality of performance that you would expect because only Genuine Parts are manufactured and tested to the demanding standards we set. As Jaguar and Land Rover vehicles become more complex, the correct repair methods do too. City Body Repairs is fully acquainted with recommended factory repair methods. Jaguar and Land Rover plays a pivotal role in ensuring that Jaguar and Land Rover Authorized Aluminum Repair Center members like City Body Repairs… have access to the required levels of technical information and developmental support. The objective is to ensure that technicians are trained to use the information provided in our Global Technical Reference manual. Through training, technicians become fully acquainted with the recommended repair methods. 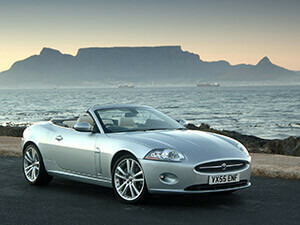 Repairing vehicles must therefore only be completed by Jaguar and Land Rover Authorized Aluminum Repair Centers.